GAMCA medical test is a common medical test as per GCC medical laws, for going any GCC countries on a work visa. Before going any Gulf countries, you have to be clear GCC Medical test. It’s not so easy as you think. If you once unfit in this test you will be ban for the lifetime to get any work visa for Gulf countries. GCC medical guide[/caption] So, as per our previous article How to pass GAMCA Successfully? I got a lot of comment regarding GCC medical problem and realize some of common problem mostly people are facing during GAMCA test. That why I decided to collect all common problem and write their solutions in a single post. It will be more helpful for you. Now I am going to discuss those issues. GAMCA means “GCC Approved Medical Centers Association”. You have to be clear GAMCA medical test to work in GCC countries. Why GAMCA necessary for gulf countries? To protect from any outer diseases and increase work output, Gulf countries decided to take GAMCA Medical test before come to their countries for Work. What is the difference between GAMCA test and GCC test? No any difference both is same. Should I call them to GAMCA Office to book GAMCA appointment? No, you will have to go physically with your original Passport to book GAMCA Appointment. How much time would it take to complete GAMCA test? After taking GAMCA token, it will take one day to complete the medical process. Generally 2-3 days it depends on your GCC clinic. Will the doctors send my medical test report to the embassy or I would have to carry it? No, Doctor will not send your report to embassy directly. Someone need to be involved in between. How much would it cost me for Saudi Arabia? For all country different- Different fees are there. You can check here. Will this be completed in one day? Yes, All you medical process can complete in one day If you go early morning, But you can’t get your medical report same day. What will happen if I will unfit in GAMCA? Once you unfit in GAMCA medical test then you will ban for the life time. You can’t go to GCC Countries on a work visa. If once I got unfit in GCC tests for Qatar, can I get the work visa for the United Arab Emirates without GCC test? Yes, you can get the work visa for UAE. Till now for UAE, GAMCA medical test is not required. But another medical test is there. You have to clear that test to go to UAE. If I pass GAMCA Medical test for Saudi Arabia, unfortunately, my plan is canceled now I have to go to Kuwait then Same GAMCA will work there? No, It will not work there. You have to go for another GCC medical test for the respective country. I have been all ready GAMCA test and also fit, but my Visa issuing is fail then, can I do GAMCA test again within 15 days? No, once you did you GCC medical test. Then after 3 months you can go for another GCC medical test. After how many months I can go for another GAMCA test? Or How many month gaps will be there in GAMCA medical test? A list 3-month gap is required as per GAMCA Laws. I’m a physical handicap. Is any chance to get a job in Gulf countries? Many times Gulf Companies organize job fair only for physical handicapped. I am chain smoker may I clear GCC test? Please clarify? I can’t say anything. It will be clear after the medical test. But Your chest and lung should not contain any type of spot. I want to know that I have only one hydrocele and I want to go Kuwait can I clear the GAMCA test? As per GCC medical laws, it’s not a problem. You can clear GCC medical. My right hydrocele is swelling. Can I pass GCC medical test? hydrocele swelling will create a problem for you. So I advise you don’t go for GCC medical in this situation. Get good medical treatment then go. I need to know whether we need a visa compulsory while applying for GAMCA Medical test? No. Visa is not necessary for GAMCA. Only original passport is enough. Sir my legs some curve. And not gap too much between 2 knees. During walking time, not any problems. Can I go for medical? If you walking normally. So, it’s not a problem. 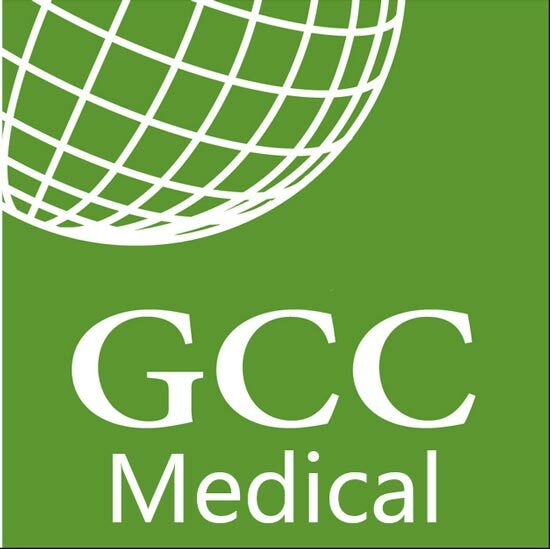 You can go for GCC medical. I want to know is GAMCA required for Dubai or not? Yes, Now GAMCA is required for Dubai. If my one of the eye is blank and another eye vision is 6/6. Will it create any problem during GCC medical test? It will create a problem for you. Better consult any GCC doctor. What minimum age is required for GAMCA medical test? For GCC countries, your age should be minimum 22 years. Still you have any other issue. you can ask in below comment section. I will try to help you. If you found this Article Useful for you, Like our Facebookpage for more useful Articles. Can I get the work visa for the United Arab Emirates without GCC test, If I got unfit in GCC tests for Qatar? Can I do GAMCA test again within 15 days?